Blockchain based applications are disrupting all major sectors today. We look at how blockchain is making a difference and what opportunity it presents. Using videos we have best explained the importance of blockchain and how it is driving higher transparency while reducing costs. The blockchain is the digital ledger that is used to record all the digital transactions across the world. It uses the cryptography for the financial expenses and helps keep a track on it. It allows the assets to be tracked but not copied. Blockchain can help radically improve industries, beginning with banking and insurance. However the opportunities for blockchain go far beyond this. IBM Blockchain and the revolutionary shared ledger technology can help your enterprise business solve complex problems now and in the near future. IBM’s blockchain use case video shows how does blockchain technology work. Juniper Networks offers high-performance network solutions to help service providers, enterprises & the public sector create value & accelerate success. At Juniper, blockchain brings significant benefits to a broad range of industries, specifically helping in the areas of identity and data integrity. Juniper Network’s blockchain use case video shows how blockchain is useful to reveal threats and vulnerabilities. Blockchain ensures the reinvention and digitization of the real estate world. Drawing up, recording and managing lease and purchase contracts has been a labor-intensive, costly job for decades. By applying blockchain technology this can be faster, more reliable and more efficient. The blockchain use case video shows how Deloitte has developed a platform to handle rental and other real estate contracts digitally. Amadeus continuously seeks innovations that will stand the test of time and deliver value to the industry. Blockchain is a new enabling technology that for its unique characteristics, is expected to revolutionize many industries, including travel. Amadeus blockchain use case video provides a general overview of the blockchain evolution as well as its unique characteristics. Izetex provides an open platform for the game developers, who will benefit from creating new games. It created a token concept which is based on the blockchain technology, that provides global reliability and trust for the protocol and token transactions. Izetex Network’s blockchain use case video shows how the cryptocurrency technology is used in gaming industry. 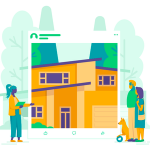 While traditional real estate is very paper based and involves a lot of third-party players, including brokers and banks, the blockchain allows people to transfer funds, property titles and data in a more peer-to-peer manner that is digital and open source. Dubai Real Estate created the blockchain system using a smart and secure database that records all real estate contracts, including lease registrations. Dubai Real Estate’s blockchain use case video shows how the blockchain technology is used to transfer money and assets. Standard Chartered offers banking services in some of the world’s most dynamic markets including Asia, Africa and the Middle East. The multinational banking firm has inked partnership deal with fintech startup EquiChain to join its blockchain pilot focused on bringing efficiencies to the capital markets. Standard Chartered’s blockchain use case video shows how global trade is revived by revolutionising trade finance and enabling digitisation. Aigang is a Blockchain Protocol for Digital Insurance. It enables insurance marketplaces for IoT devices that are fully automated due to the application of smart contracts. Such marketplaces behave as decentralized platforms allowing to invest in insurance and claim profits from insurance premiums as well as get insured. Aigang’s blockchain use case video shows how blockchain protocol which makes digital insurance secure. IQ Option is a online trading brokerage enabling customers to trade a range of instruments and underlying assets. Being one of the leading brands in the industry, the company is focusing its attention on the blockchain and the possibilities that come with it. The firm creates a cross-chain solution that enables transactions across different blockchains. IQ Option’s blockchain use case video introduces blockchain and explains secure transactions. Today’s mortgage processes are complex, too many participants, transactions that leading to delays, higher costs and reconciliation issues. The blockchain-based solution from Cognizant for US Mortgage can address all these concerns. The blockchain use case video shows how Cognizant’s blockchain is used to cut costs, reduce fraud and manual errors, improve operational efficiency, etc. UBS is a leading global wealth manager, global investment banking and securities firm, and one of the largest global asset managers. Instead of making banks superfluous, the blockchain may very well make banks better at what they do. Watch UBS’s blockchain use case video in order to understand what blockchain is and how it has the potential to transform the financial industry by providing security to clients, shareholders and employees. Privatix is a decentralized and autonomous P2P VPN Network on blockchain with internet bandwidth marketplace powered by own crypto-economy. With this, any user can sell his spare or idle Internet broadband to the Network and get paid for it instantly with crypto. The payments come from buyers, who purchase the bandwidth via third-party applications or directly. Privatix’s blockchain use case video shows how blockchain is used to build a secure peer to peer network. 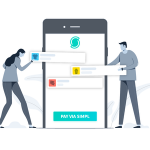 Steem is a blockchain-based social media platform where anyone can earn rewards. It is a social news service which runs a blogging and social networking website on top of a blockchain database. It is a blockchain-based rewards platform for publishers to monetize content and grow community. The blockchain use case video gives an overview of Steem and how it can be used to gain rewards and grow communities. Plutus app designed for merchants is one-tap solution equipped with features to track POS transaction data across all your stores, generate service request like charge slip paper roll request, terminal breakdown etc. By connecting bitcoin and blockchain technology with pre-existing global contactless payment infrastructure, Plutus opens the doors to shopping with bitcoin at your local brick & mortar stores. The blockchain use case video shows how Plutus empowers to make secure payments. Medicalchain uses blockchain technology to securely store health records and maintain a single version of the truth. The different organisations such as doctors, hospitals, laboratories, pharmacists and health insurers can request permission to access a patient’s record to serve their purpose and record transactions on the distributed ledger. The blockchain use case video shows how Medicalchain stores and shares electronic health records. 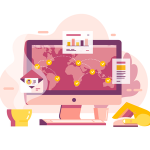 Clears is a fully customizable, data-less KYC solution, that guarantees a business’s compliance with local and international regulations. It can provide the original documentation by extracting the documents from the cold storage server. Users can use their credentials on all KYC’s using Clears, giving them a private, secure and convenient experience online. The blockchain use case video shows how Clears provides a unique KYC certificate stored inside the blockchain. Publica is a platform for authors, readers, books of all kinds and the people who make them. It brings the publishing economy into the blockchain revolution. Using the technology, it carries all kinds of transactions and exchanges for the publishing economy. The blockchain use case video shows how Publica supports Blockchains in the long tail of publishing derivatives such as movie scripts, games etc. with the requisite legal frameworks. TradeIX is the world’s first open platform for trade finance. Powered by distributed ledger technology, its secure and connected API-driven platform facilitates the movement of assets and credit around the world. The blockchain use case video showcases how TradeIX has rewired the world of trade finance. Acciona is a leader in providing sustainable solutions for infrastructure and renewable energy projects across the world. If blockchains implemented correctly, it can improve construction’s transparency and efficiency in a number of ways, that’s what Acciona exactly shows us. Acciona’s blockchain use case video shows how the technology can be used in construction industry. The Burnie Group is an experienced management consulting firm that helps clients design innovative strategies. It advises you on available options, vendor selection, capabilities and track record, perform due diligence and validation of offerings as it has become important for companies to have a well-informed blockchain strategy. The blockchain use case video shows how The Burnie Group helps companies to cut costs, improve efficiency, improve security, and move to new growth opportunities. With the above blockchain use cases, it’s evident that companies are fast integrating videos in their marketing campaigns and various other touchpoints. If you are planning to develop these videos, a good start is to develop a brief of what can be the tone and style for your videos. We advise you to be different and unique while you create your messaging through the videos.